Meet some of the Havaillands Staff. 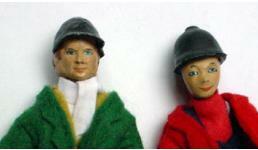 The male figures are older "Original" type riders, the girls are the current sort with plastic bodies. Some are wearing original Julip clothes but some have been redressed by myself. Then there is always the owner of Havillands, me! 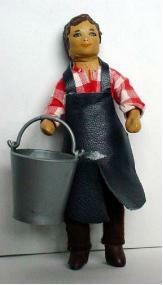 Mr Flint the Blacksmith, visit his forge here. 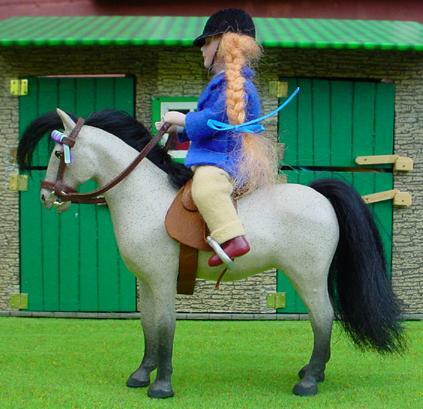 Meet Alice, she is new to Havillands, seen here with Whiskas the pony. 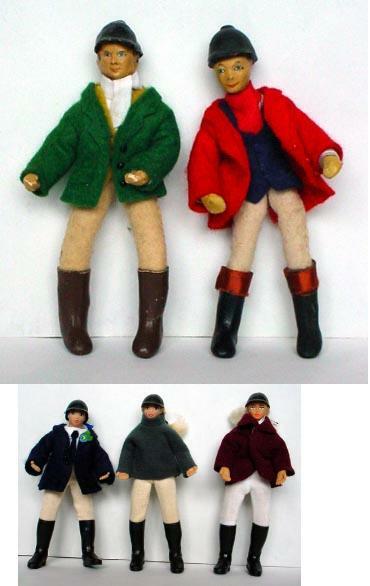 Alice was a dolls house figure that I have re-dressed in felt johdpurs and a tweed jacket. Alice again, this time with recent arrival Spartan. These two are off for a quiet hack round the lanes. 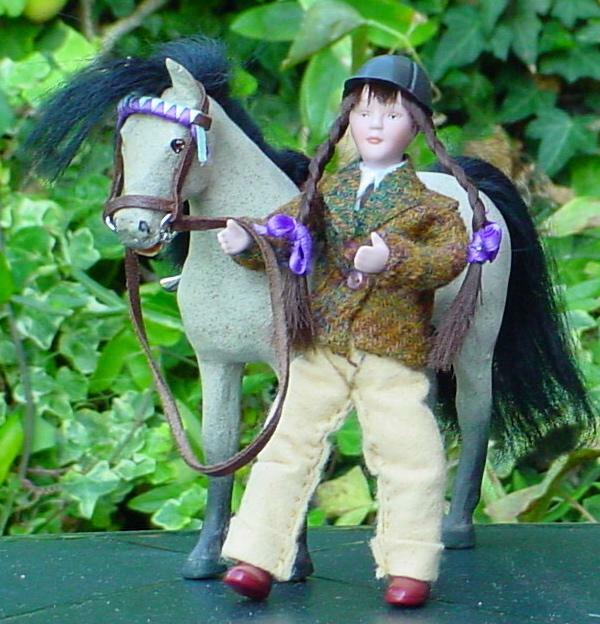 Here she is with Whiskas -what a patient pony, she gets all the new children!- Prue is the same sort of figure as Alice but dressed differently. 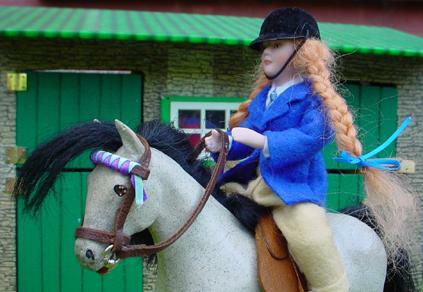 Prue has a felt show jacket and johdpurs, mohair plaits and a hat borrowed from a Breyer rider! 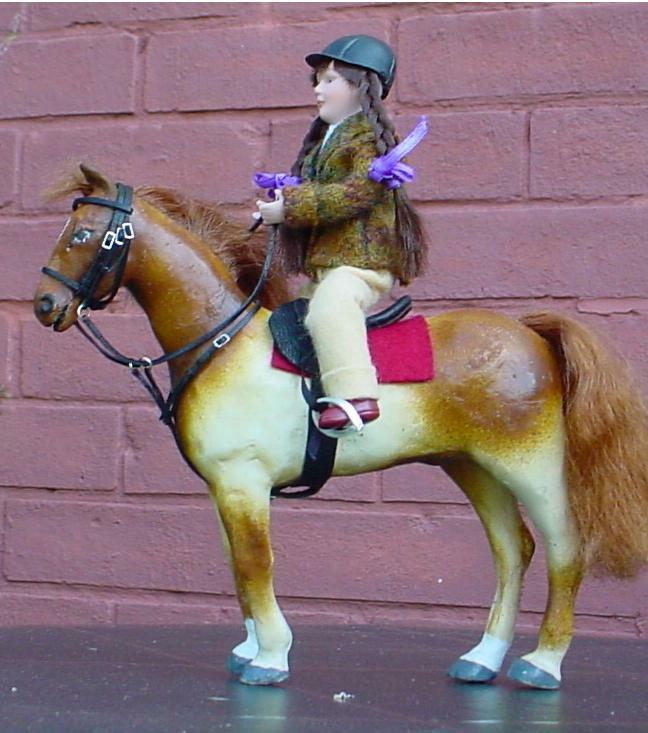 Prue is very serious about learning to ride, look at the determination on her face. Personally I don't think she wants to be beaten by Alice! What Whiskas thinks remains a mystery.